It's National Vanilla Cupcake Day! 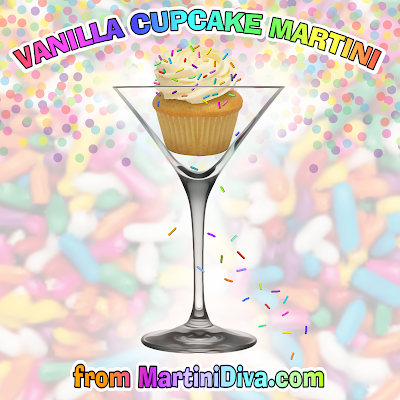 So, here you go, the Vanilla Cupcake Martini in all it's rainbow sprinkled, sweet and creamy glory! Rim your glass with the vanilla frosting then dip in the rainbow sprinkles and place in the freezer to chill. Add the vanilla vodka, white chocolate liqueur, dash of Irish Cream and half & half to a cocktail shaker filled with ice and shake until chilled. Strain into your glass and enjoy!